When I mentioned to my friend that I thought I might write a blog about what had happened this past week, she looked at me with softness in her eyes and said, ‘You mean about all the loss?’. That would make perfect sense. It was a week filled with loss. It was also a week defined by: confusion, (“Wait…what did you say? What?”), shock and disbelief, (“Are you friggin’ kidding me? Is everyone ok?”), sadness, (“Those poor horses, there was nothing they could do…”), outrage, (“How…how did this happen, it sounds like something from a horror movie…”), acceptance, (“Thankfully everyone else is ok…it could have been so much worse”), and then finally an ability to see that hero’s are in my life…people who I know and see frequently…regular people, until something horrific happens and you see what they’re made of. The gift hidden within the heart-wrenching week was seeing that there are heroes in my life and I never even knew it. I had set out in Granddaddy’s van last weekend to check on the horses. 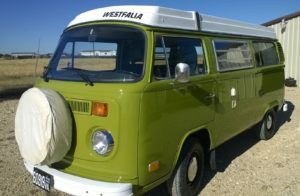 It had been a few days since I had been to the farm and although it was a bit windy, (1976 Westy’s aren’t known to be stable in windy driving conditions), it wasn’t a long drive and I wasn’t too concerned. Yet still, something didn’t feel right and intuitively I turned around and drove home, the first time I had ever done that. At the time I chalked it up to having an antique vehicle and a keen intuition, I thought perhaps something was telling me not to drive it that day. My intuition was right to steer me back home but it had nothing to do with the VW and everything to do with what was happening at the horse farm. Africanized bees are a flying insect that I was not familiar with until someone mentioned that they are also known as killer bees. My mind conjured up memories of bad movies and a random article here or there about killer bees. In my mind they were about as real as King Kong climbing the Empire State Building. They weren’t real to me then but they are real to me now. 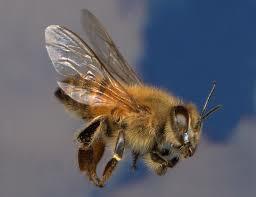 The bees are known to attack when disturbed and they are known to attack when they aren’t. The horses were in their pen, eating hay, and doing what horses do – they weren’t disturbing the bees, no one even knew they were in the area. Yet the killer bees descended and did what killer bees do. They attacked. As she headed in to feed, one of the farm owners saw the black cloud swarming around the horses, one already writhing on the ground, but she didn’t yet know what she was seeing. How could she possibly know? Who would ever suspect it? As she got closer and began to feel the stings on her face she realized what was happening. As she ran out, her dogs running along to protect her, the second owner ran in…like a fire-fighter going into a burning building…except he didn’t have a hose…or water…or tools. Desperately, and probably frantically, trying to get the horses to move, to run out, he opened the gates pleading with them to run, to move and to get away. As he endured sting after sting he worked to save the horses to no avail. There were too many bees and there was nothing he could do. He watched helplessly as swarming Africanized bee’s took the lives of two horses. 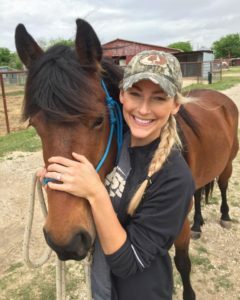 Alyssa with her horse, taken a few hours before Zona died. Listening to them talk about the experience and everything they had to go through following the attack was difficult to hear. I cannot imagine having to be the ones who had to go through it. Containing and getting rid of the bees, the bodies of two horses lying in what had been their pen, talking with the other horse owners and everyone in that horse farm community, the devastation of reliving it, of not getting it out of their minds, of awaking at night seeing bee’s, experiencing fitful sleep and all the while doing the right thing and continuing to run the farm, looking out for everyone else. You could hear the emotion in their voices, see the red swollen stings on their face and arms, yet I watched as they, heart-broken, went about what they had to do, tending to all the horses who relied on them. None of us know how we would respond in an emergency. I suspect most of us would like to think we would be brave and courageous but there is no way of knowing that until it happens to us. Heroes are those who go back in, who fight until the end, who protect the living and are wise enough to know, as heart-breaking as it is, when it’s over. R.I.P. Leo, you were so loved. 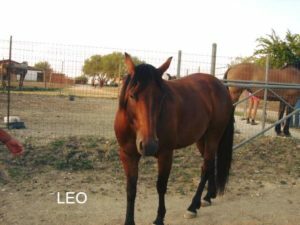 My heart broke this past week for the two beautiful horses who suffered a terrible and untimely death. My heart broke for the owners of the horses, one who had just spent the afternoon there, and the farm owners who endured the trauma of fighting to save them. And yet, my heart grew with love, respect, and regard for seeing that community come together, to bond together in support, and to know that there are heroes who walk among us.